Pu'Erh lime - Monsieur T.
Pu-erh is a fermented tea with a pronounced malty taste. The name comes from the city of Pu'er in the Chinese province of Yunnan. For a long time, it has been a popular destination on the ancient tea route to Tibet. 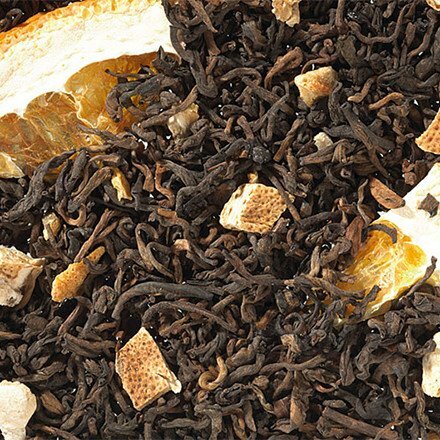 In this brew, the power of the pu'erh taste is softened, thanks to the fresh lime flavor and mixture of orange slices and lemon zest. Contains: Fermented tea from Pu'Erh region in China, lemon peels, orange slices, flavors.